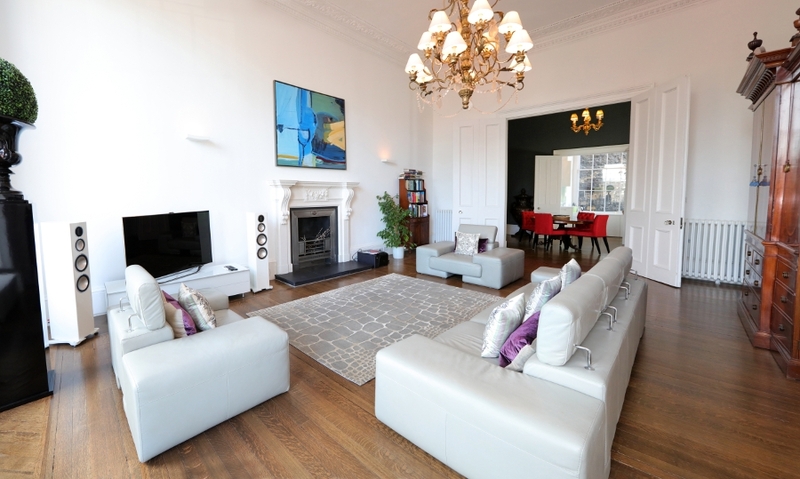 Stunning first-floor property coupling all the character of its ornate Georgian architecture with the modern amenities of a 21st century home. 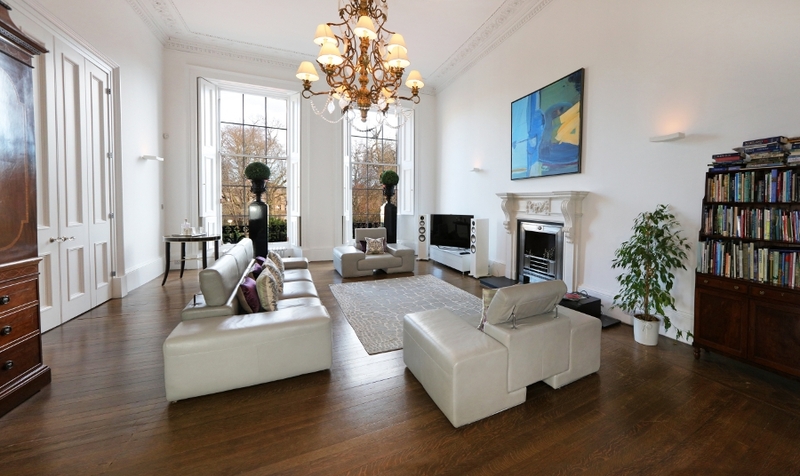 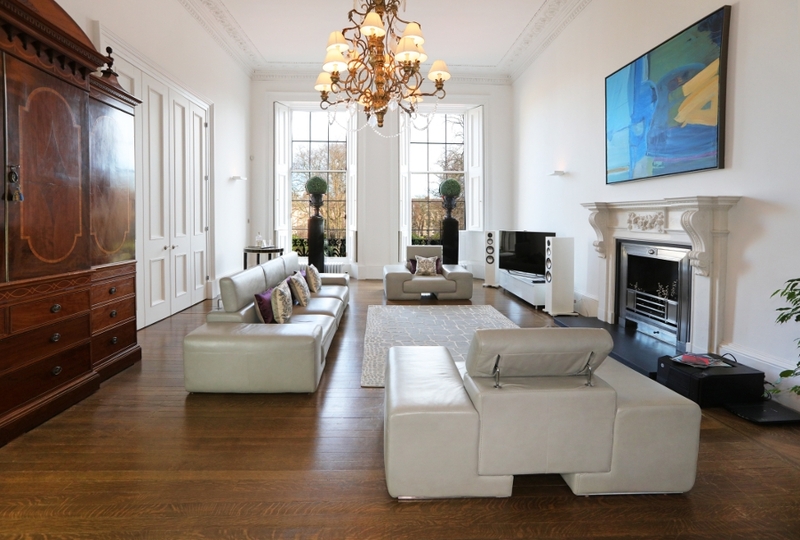 It boasts expansive dimensions and opulent décor, including high cornice ceilings and impressive chandeliers, as well as views throughout on to the lush neighbouring private gardens. 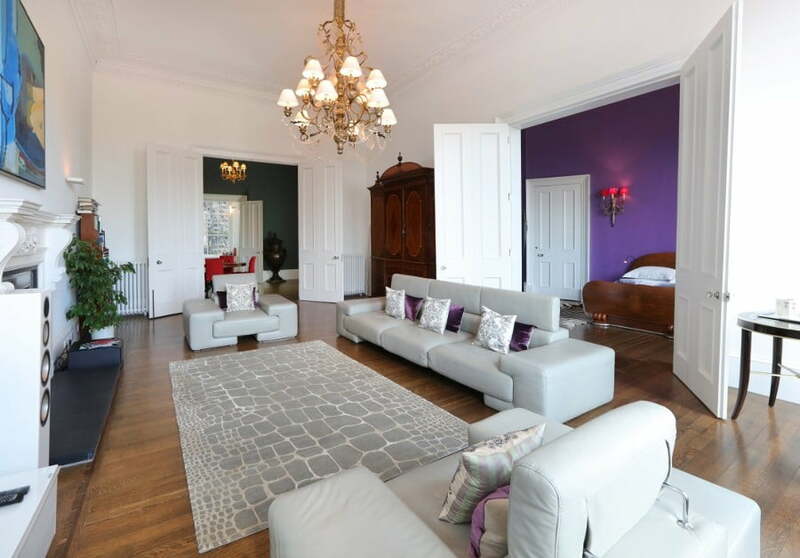 Situated in a quiet area of the city centre within easy walking distance of Princes Street and Stockbridge where there are wonderful cafes, shops and restaurants. 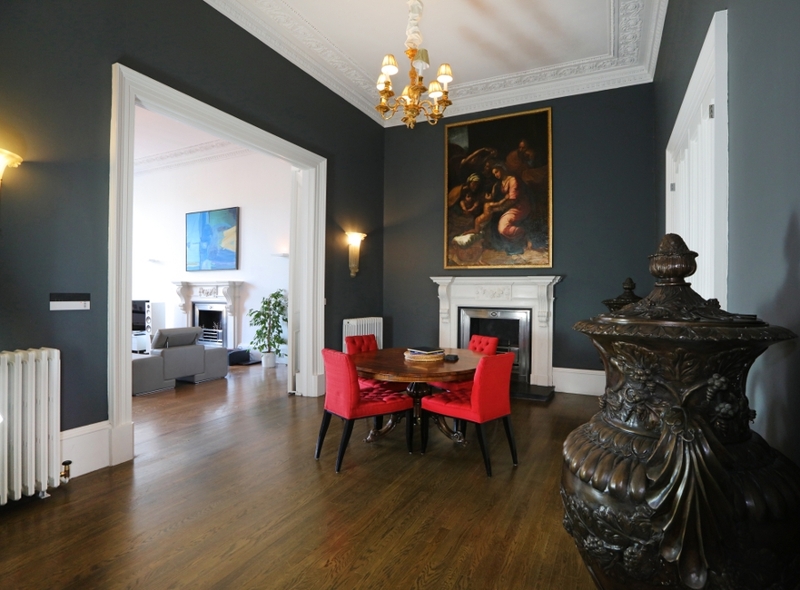 The entrance hall houses a grand mirror, fireplace, and large circular dining table conveniently located between the kitchen and living room. 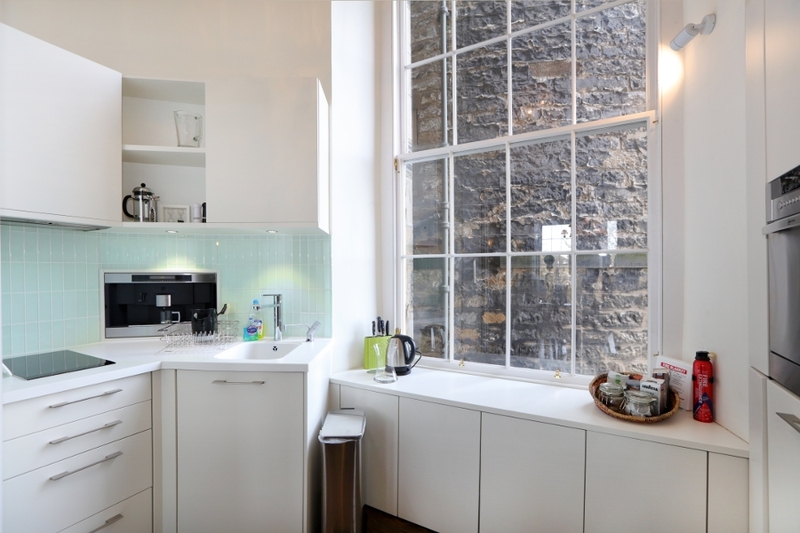 To the right is the modern kitchen, which in addition to the essential facilities and crockery, is equipped with a coffee machine and a washer-dryer. 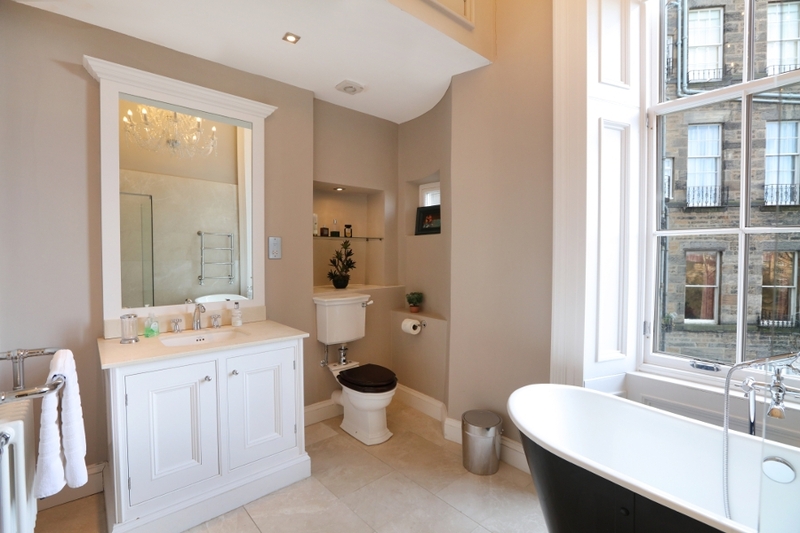 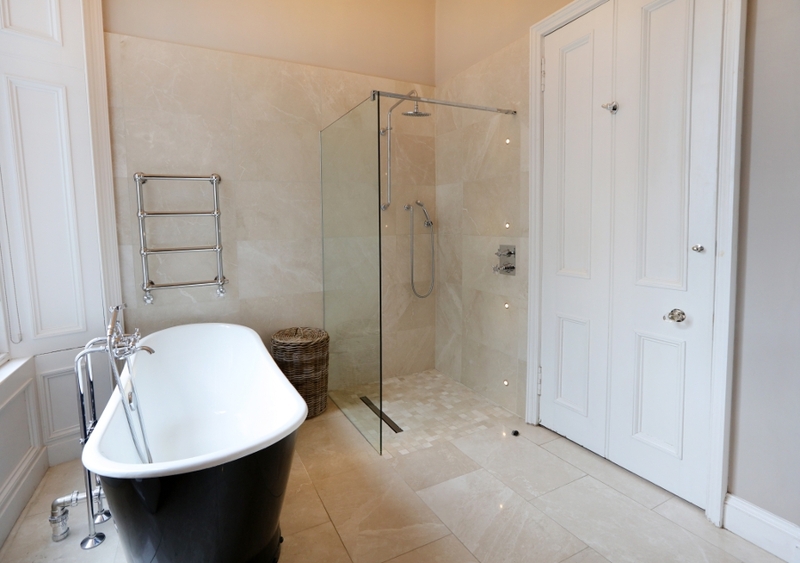 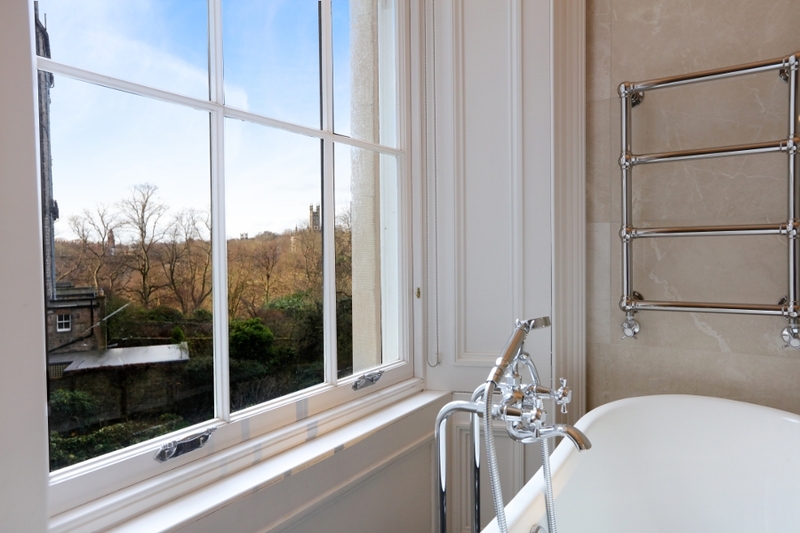 The marble floored bathroom features heated towel rails and a wet area, beside which stands the roll-top bath, where occupants can unwind with views over the greenery and out to the clock tower of Holy Trinity Church on the Dean Bridge, or just savour the decadence of the room with its fabulous crystal chandelier. 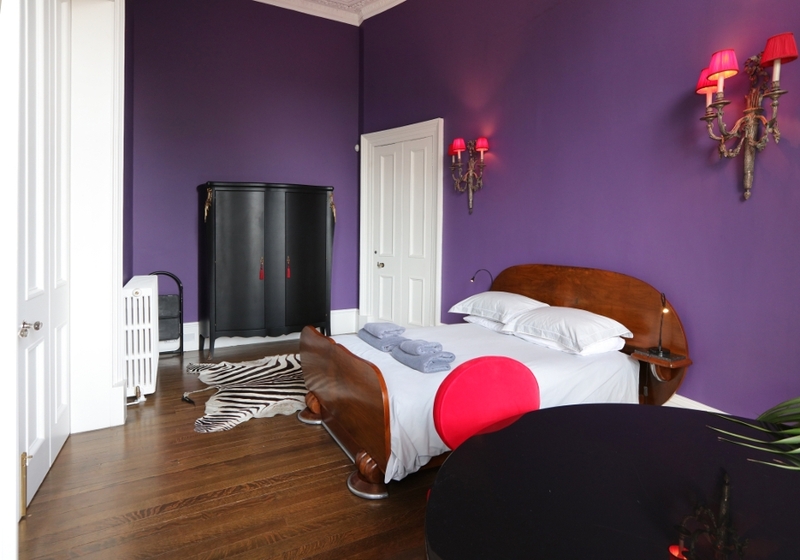 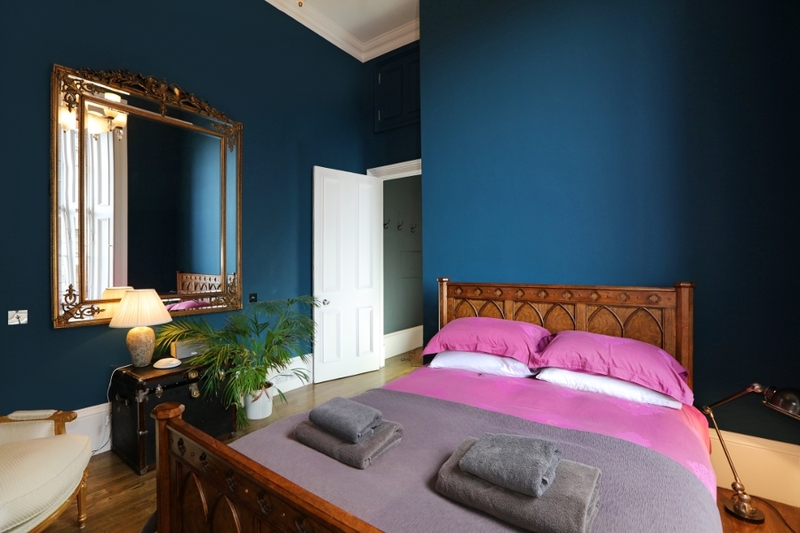 The adjacent bedroom features its own fireplace and a wall-mounted TV for cosy viewing in the king-size bed, while the adjoining storage cupboard also contains a safety deposit box. 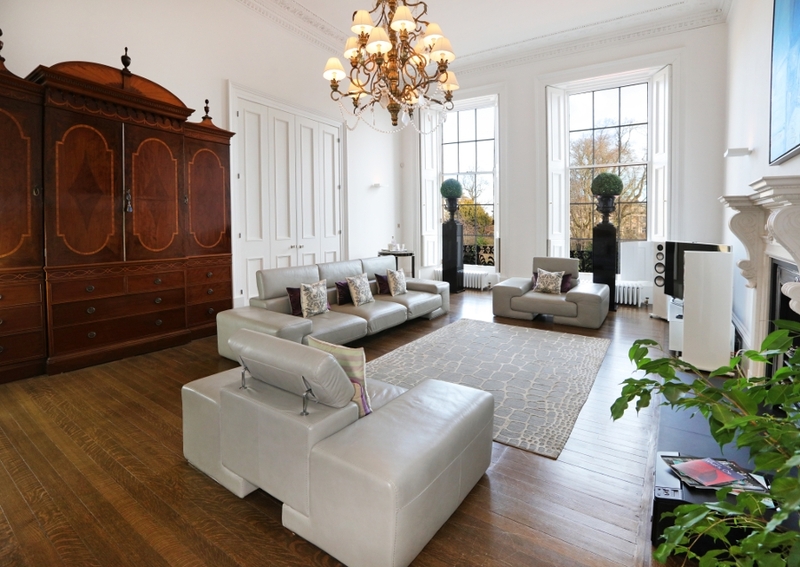 Its position at the back of the property makes for quietude and undisturbed sleep. 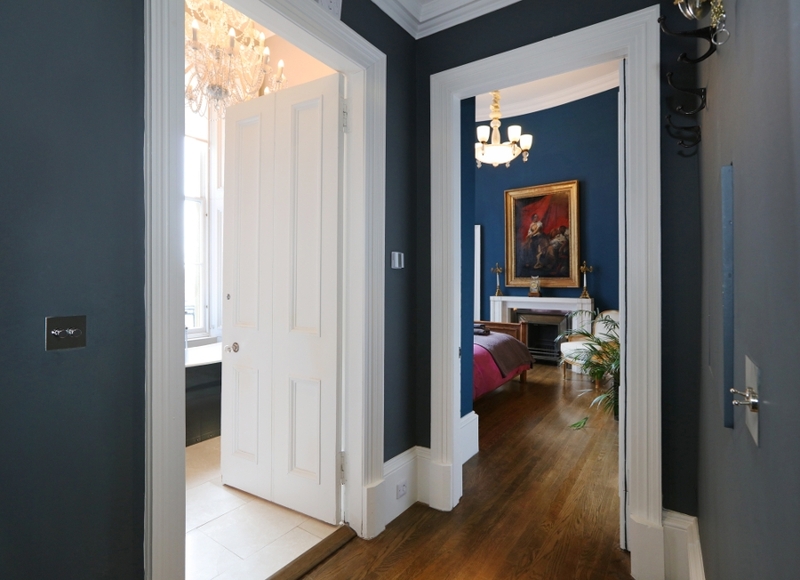 Double doors open from the entrance hall to the lounge, which contains plush 1930s furnishings, including a sofa and armchairs with adjustable headrests, opposite which is a home cinema system comprising a 55-inch flatscreen TV with separate speakers for a premium viewing experience. 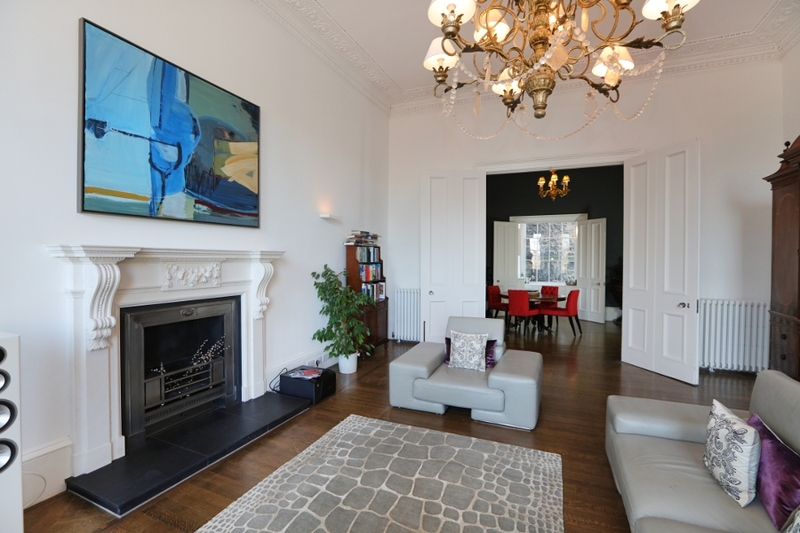 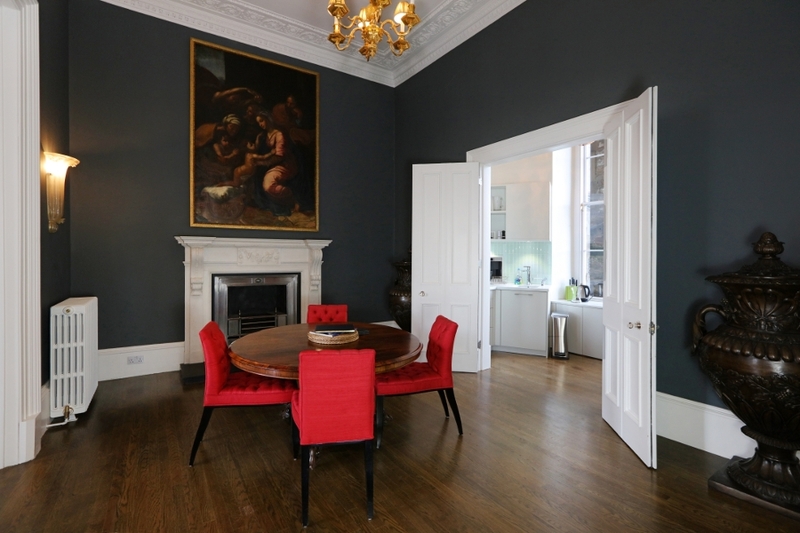 The lounge also contains large wardrobes, a well-stocked bookshelf, and a coffee table from which to sup while engrossed in the views over the near most crescent of Moray Place. 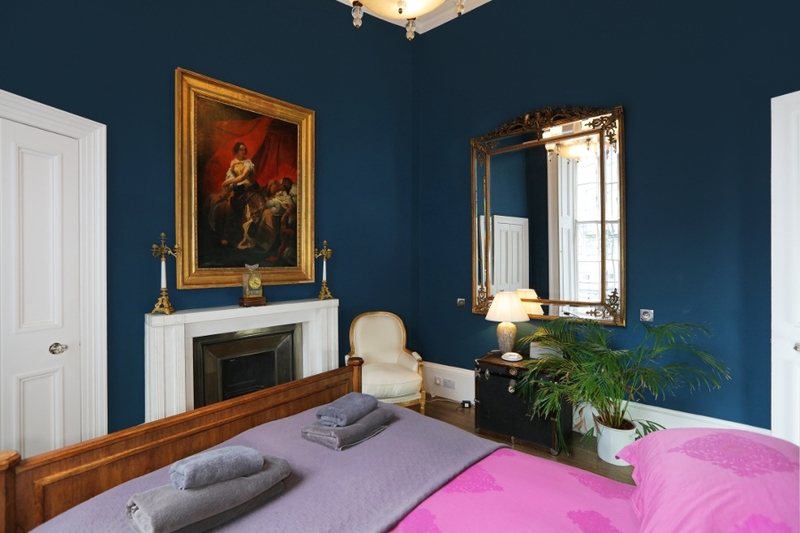 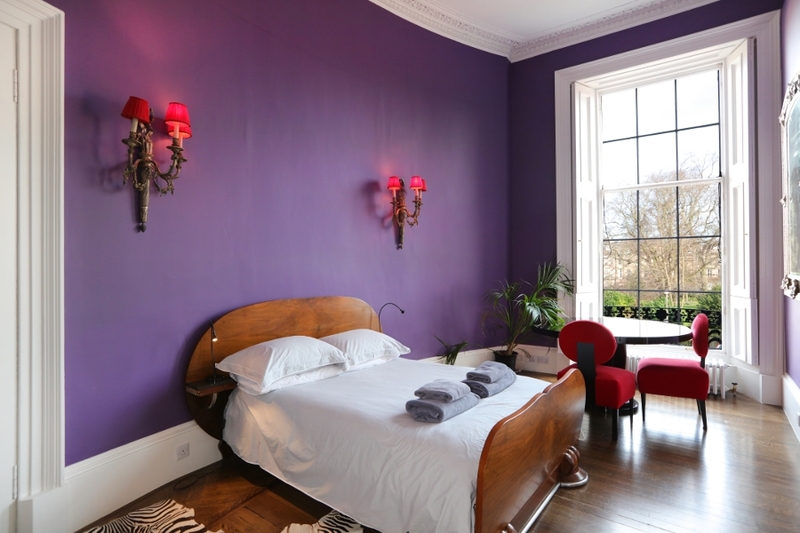 The second bedroom is accessed from the living room and has an original art deco bed and wonderful views of Moray Place garden from the long elegant windows. 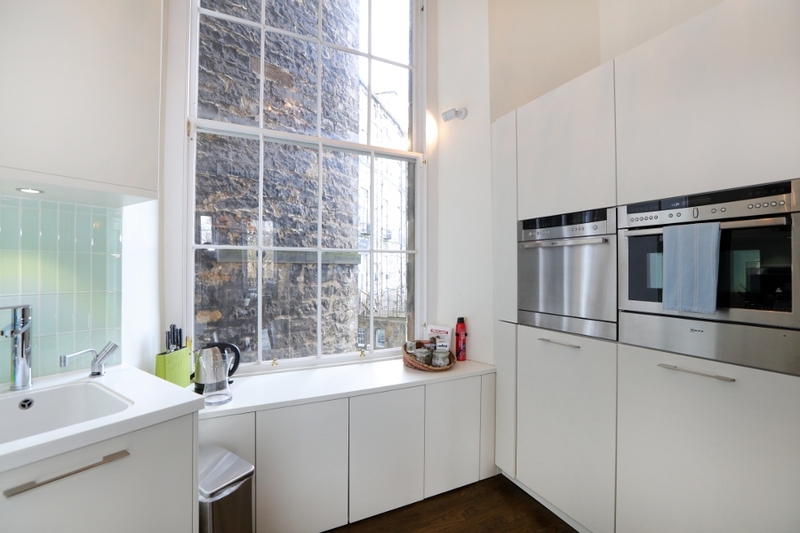 The apartment also comes equipped with scanning and printing facilities together with unlimited Wi-Fi, making it an excellent base for business as well as pleasure. 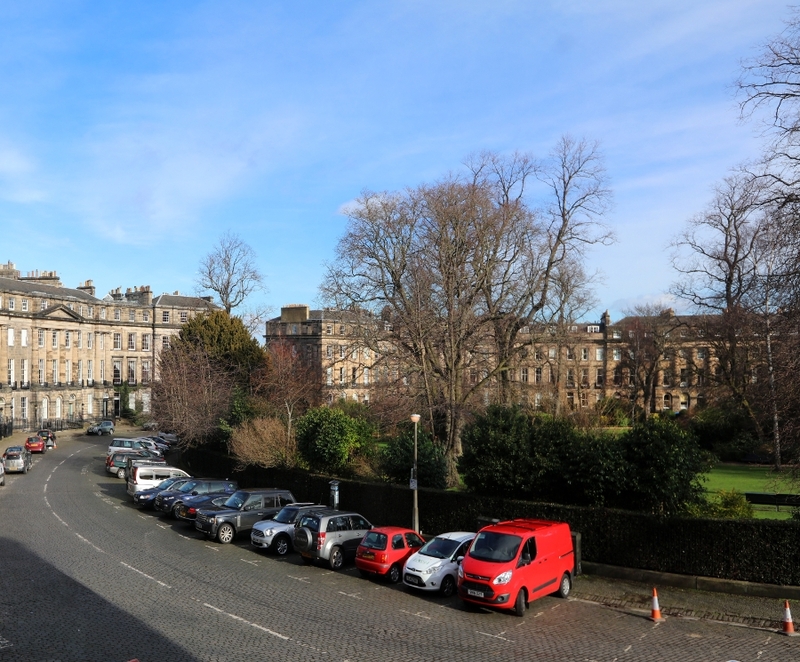 Moray Place, deemed Scotland’s grandest street, is the subject of a recent BBC documentary which you can view on YouTube.